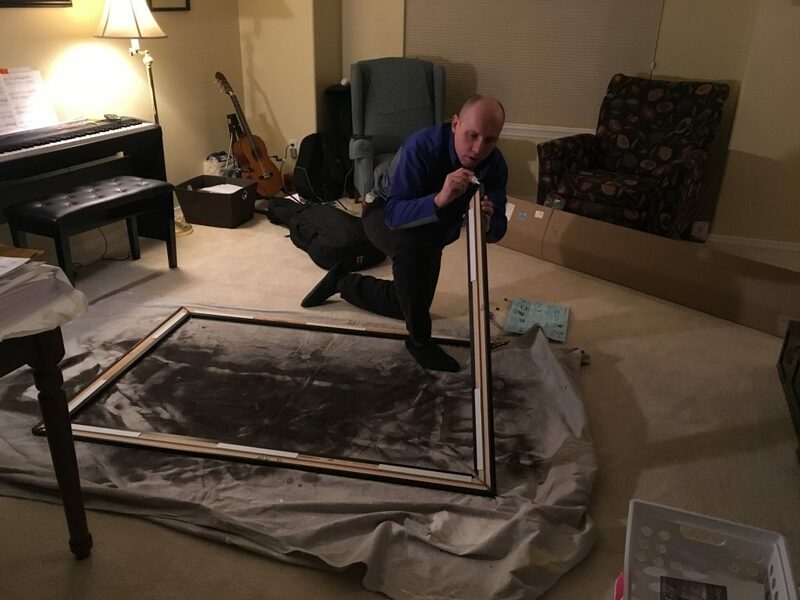 As I mentioned last week, we ordered this peel-and-stick frame for our huge plate glass mirror. 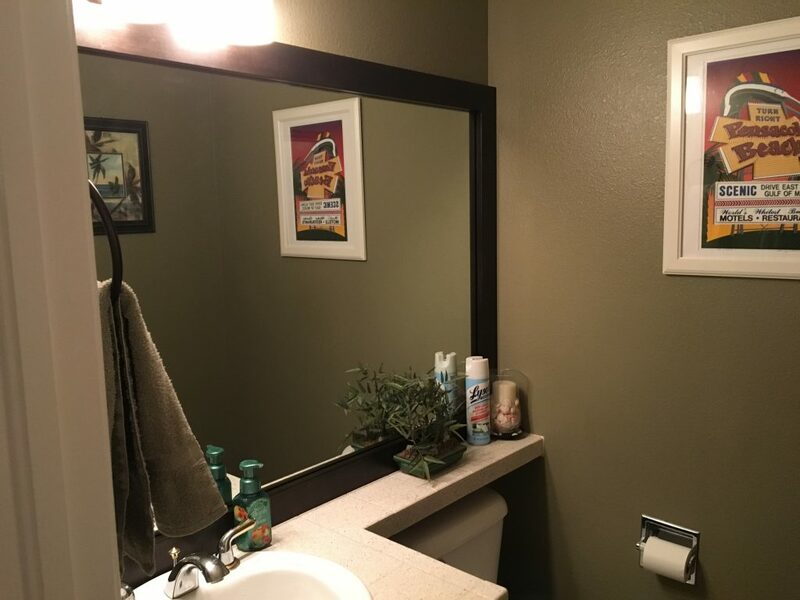 The MirrorMate company specializes in mirror frames to transform these 1990s-era plate glass wall-sized mirrors. The frame pieces arrived a couple days ago and this evening we assembled it and got it onto the wall. 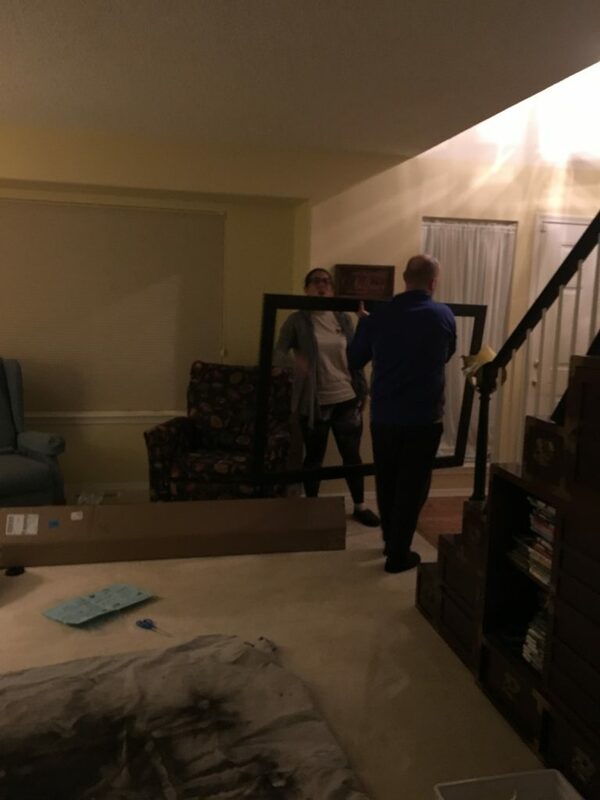 This wasn’t the easiest task, since the mirror we bought the frame for was the exact width of the wall, we were nervous the assembled frame might not fit into the wall space. But we were very pleased with the precision of the pieces, and they assembled nearly-perfectly! 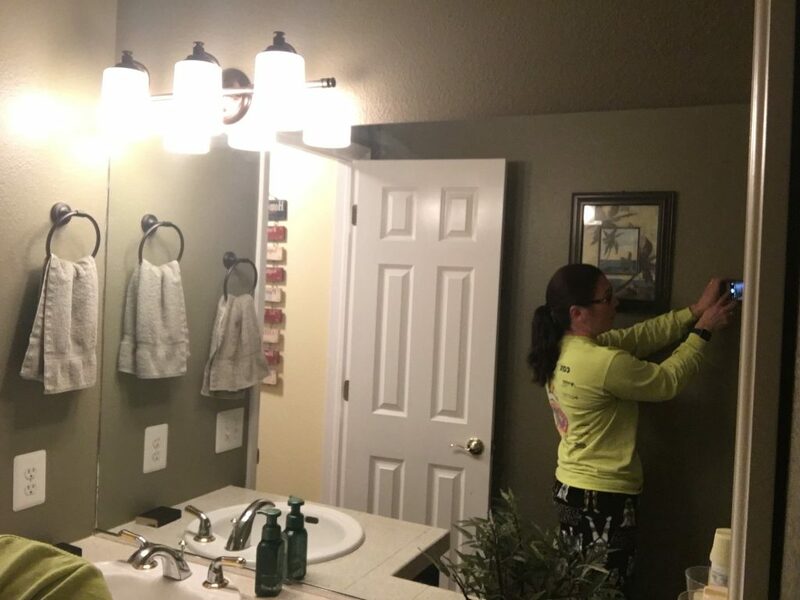 Definitely good enough that you won’t notice that it’s a DIY project. You have to glue and affix brackets into the corners ahead of time. 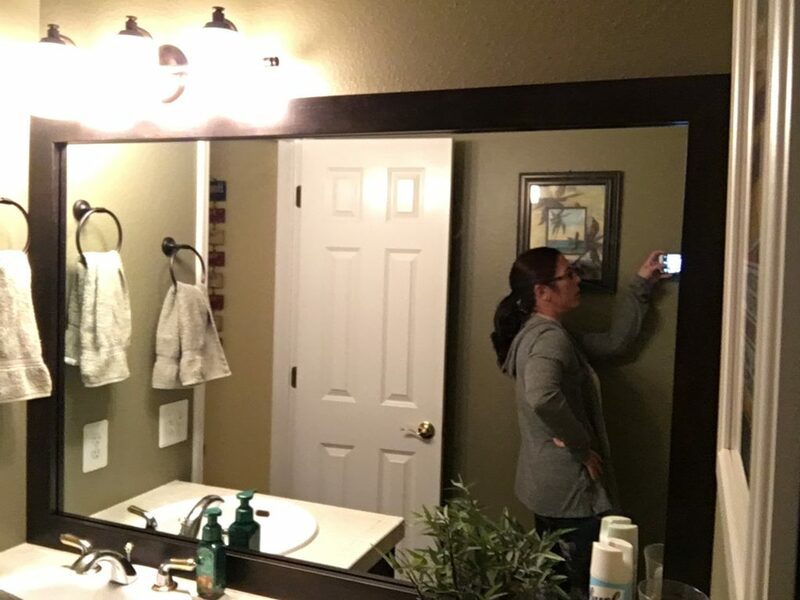 Then you carry the mirror to the space and do a test fitting. 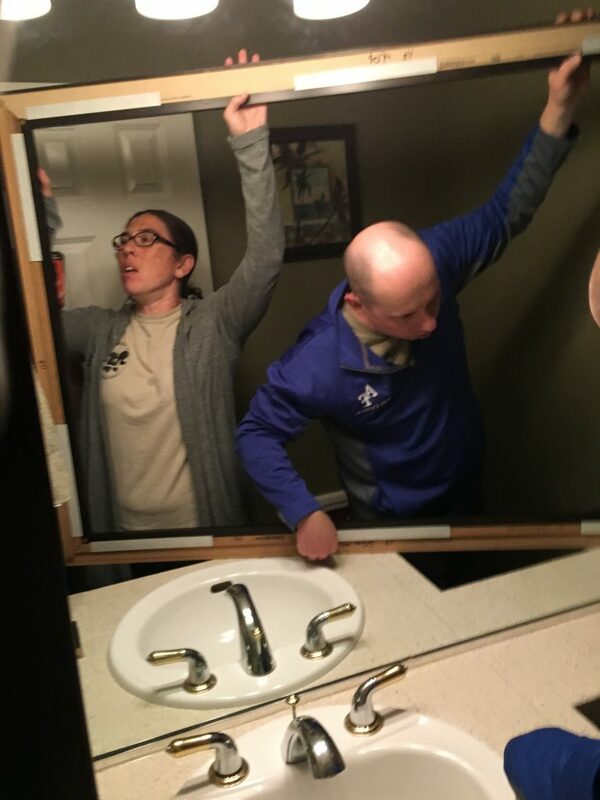 Timmy did a nice job getting this picture of the two of us trying to get the frame over the faucet into place. I couldn’t be more pleased with the finished product!